Manufactured in Japon from Circa 1965 until 0. The Half is a half-format, from where its name. The 17 corresponds to the maximum aperture of its lens. The EE means that it is equipped with an electronic eye (Electronic Eye), i.e. a cell. And finally, Rapid refers to the type of film used, i.e. the “Rapid”, format launched by Agfa. Thus the name of the camera fullfills at itself a part of our technical data sheet. There exists also a model called Half 17 Rapid (without the EE), but until now I did not find differences between these two models. 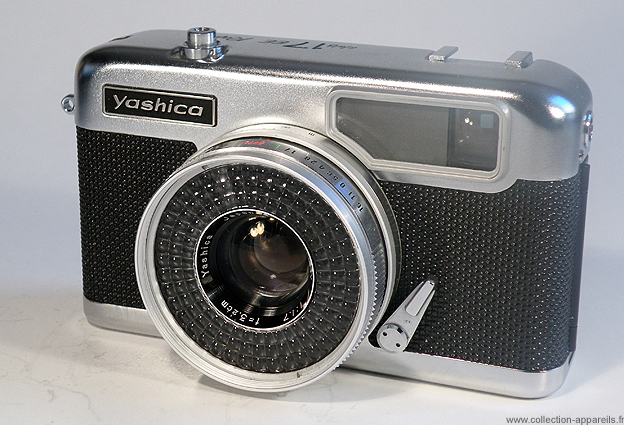 Perhaps that to a certain time Yashica yielded to the sirens of marketing and taked the name EE, then into vogue on the Japanese cameras.